To honor moms during the Month of May, I'm posting a prayer especially for moms! The plan will be to pray through a different Psalm each week. I pray it ministers to you in a special way! Thank you for all you do! 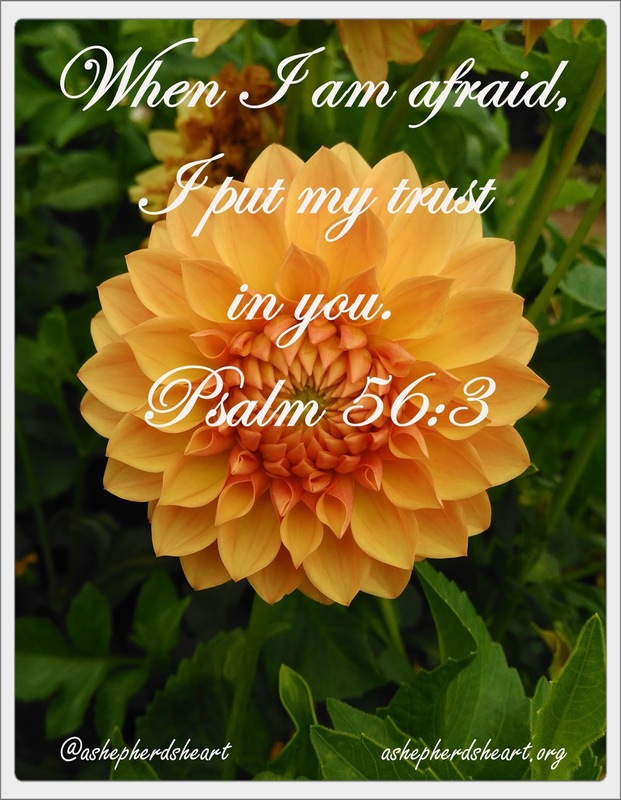 This week here's a prayer for you from Psalm 56:3. Heavenly Father, I ask that you instill your truth in my heart as a mom and as Your Daughter as I read Your truth and pray through it. I thank You and praise You for Who you are, for loving me unconditionally and for being my strength through the good and the bad days. I need You Father! Heavenly Father, I know You're my strength and sufficiency but sometimes life gets overwhelming and I slip into fear. Too many times I "hit my emotional and physical limit." ...Help me to turn these times of fear into faith. ...Help me to turn from merely my own limited strength and instead rely on Your limitless strength. ...When I fear for the well-being of my family - help me to trust in You. ...When I fear that I'm just not enough for my children - help me remember whose I am and who I am. ...Help me to remember that I am enough as I'm not alone because You're with me always. ...Help me to remember that I am enough because You are my sufficiency. ...When satan slings lies at me from every angle- help me to trust fully in You and the truth of Your Word. ...Help me by Your Holy Spirit trust cast out the lies in Jesus name. 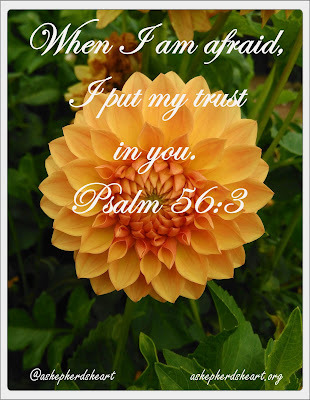 ...Please help me trust completely in You in the day-to-day. ...Help me to trust in Your provision, wisdom and direction. ...Help me to lay all my insecurities down at Your feet. ...Help me to remember that fear is the opposite of faith and trust. I praise You and thank You and I ask all these things in His Name, Amen. It's The Here We GROW Again Times!